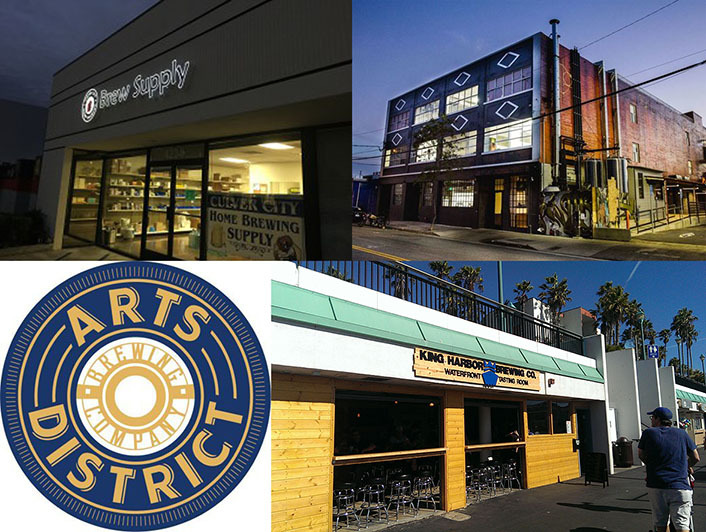 Just a quick reminder that our January Third Thursday club meeting at Culver City Home Brew Supply Shop is this coming Thursday night starting at 7:30pm! 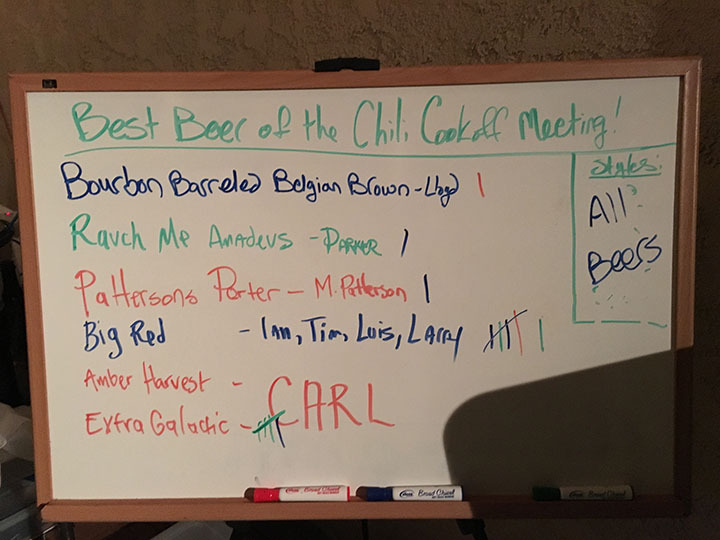 The Best Beer of the Meeting competition style is any just like last January. Bring whatever you’ve got on tap! 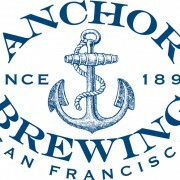 So if you are interested in attending the Anchor party and you enjoy great beer… I’ll see you there! Club of the Year, Club member or the Year, and Chili Cook-off Recap! 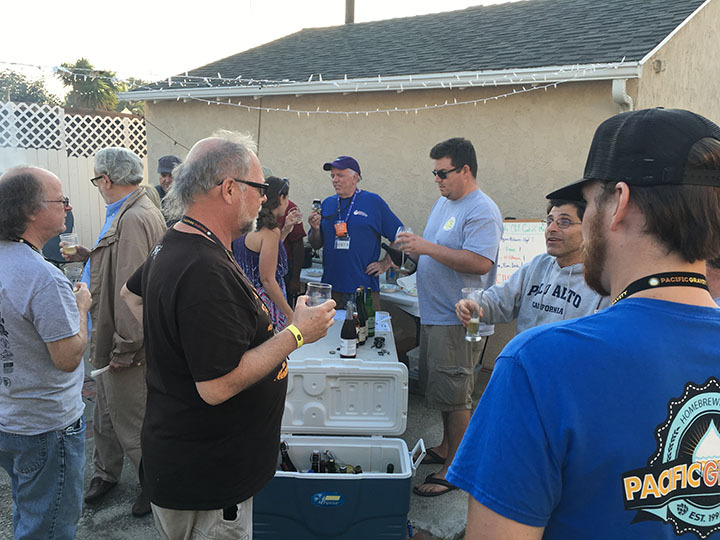 First, if you haven’t heard Pacific Gravity won the 2016 “Anchor California Homebrew Club of the Year” competition!!!! 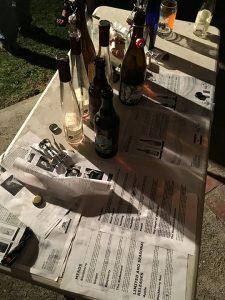 We turned in our submission and judging was on Nov. 5th during the Cal. State homebrew comp. 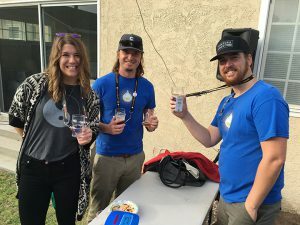 Check out the link here: http://castatebrewcomp.org. I want to thank everyone for a great year and to all the board members for helping make it so. We strived to make a difference, to evolve this club to higher standards, and this is just one of the pay offs. I hope everyone, for years to come, will continue to make Pacific Gravity one of California’s best homebrew clubs around. 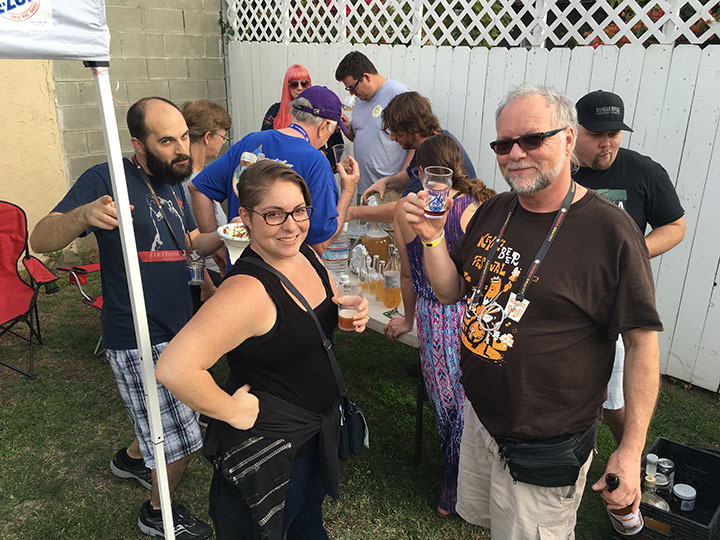 By striving for more education, involvement, club charity, and as always brewing the best damn beer! Second, if you “missed” the Chili Cook-off and did not get a chance to vote for Pacific Gravity’s “Club Member of the Year” nows your chance! Please email your vote here: [email protected] you will have tell Next Sunday to vote. That is voting will now close after Nov. 20th. 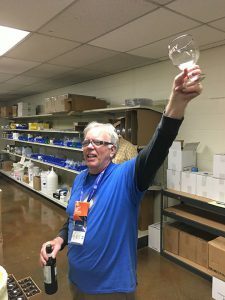 Nominated Members are: Lloyd Johnson, Michael Musgrave, Tim Bardet, Carl Townsen, Terry Malloy, Michael Patterson, Mimi Bardet, Tania Musgrave, Dean Sussman, and as always feel free to vote for any other PG member not on that list. You will get two votes for two different people. So please send those emails with two names! Third, we had a blast at the Chili Cooks off. It was a good day, hot at first and then the marine layer rolled in to cool us off a bit. Chili’s and cornbread where showing up and snack where laid out. 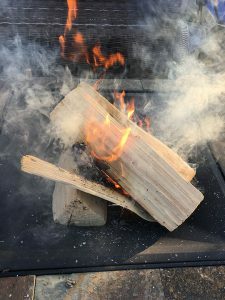 Terry had the lights up for night and a fire pit ready to go. We had a slow start, but soon got some good number later. 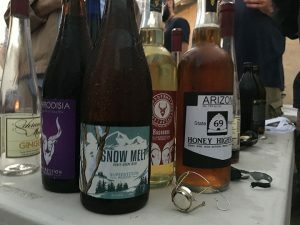 Just in time for Rives amazing rare and expensive cider and mead tasting that lasted for quite some time into the night. Thank you Rives for going so above and beyond! We did announcement and last calls for voting about mid evening. As there was no contested board members for 2017 we did a vocal call for agreement in next years board members. They are as followed: President Michael Musgrave, VP Terry Molloy, Treasure Tim Bardet, then Carl Townsend for Competitions Coordinator, Dean Sussman as Styles, Mimi Bardet as Charities and Special Events, Tania Musgrave as Secretary, Michael Patterson as Education Director, and Brett Wilson as Activities Director that I know for sure as of now. All the chili’s where great. We absolutely stuffed ourselves, but only two chili’s could come out on top. 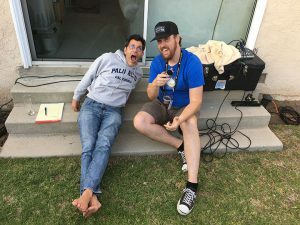 Ian Fraser took the win for Best Chili and Parker took the most unique! Both where amazing, Ian’s was a delicious super spicy meat chili and then Parker’s was like an amazing Mole like vegetarian chili (sorry Parker blanking on the actual ingredients). 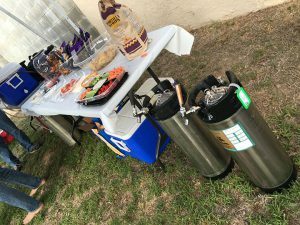 Also we did not get a lot of the style of the month beers that night, but we did get a bunch of kegs so we opened the best beer of the night to everyone that brought beer. 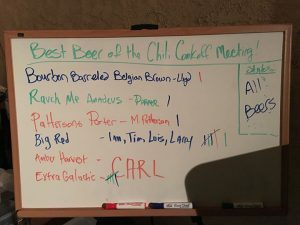 It looked like by the end of the night Ian, Tim, Luis, and Larry took the win with there Big Red IPA, and then Carl was in close second with a hoppy pale “Extra Galactic”. I want to give The Molloy’s a big Thank You for hosting at their house again this year, great times! Check out some of the pics below. 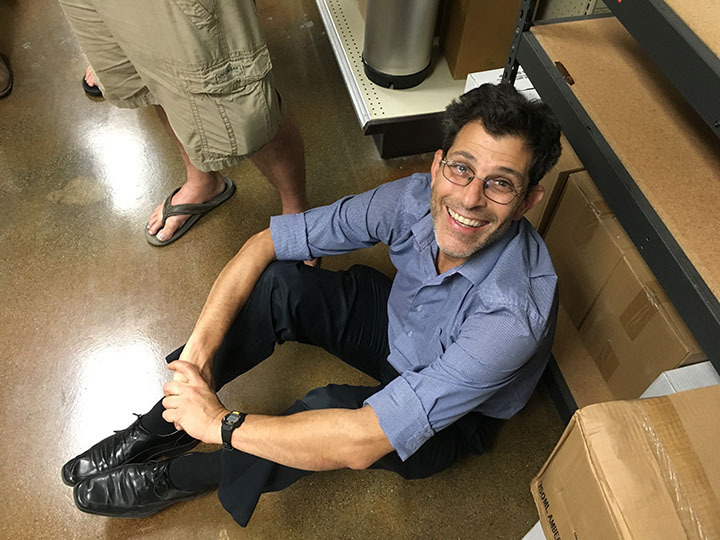 http://pacificgravity.com/wp-content/uploads/2016/11/Nov.-Recap.jpg 4157 4475 lloyd http://pacificgravity.com/wp-content/uploads/2015/01/pg_logo.png lloyd2016-11-14 08:00:102016-11-13 22:00:40Club of the Year, Club member or the Year, and Chili Cook-off Recap! Remember tonight is First Friday at Maple Block Meat Company ( 3973 Sepulveda Blvd, Culver City, CA 90230 ) and tomorrow is our November meeting and annual chili cook off at the Molloy’s place ( 6738 W. 87th Place, Westchester, CA 90045 ). 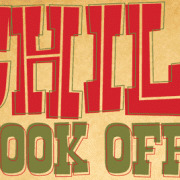 Break out your crock pots and get to stewing up some chili for the competition. As I mentioned earlier this week we’ll be supplying rice but you’re free to bring whatever sides you feel like dishing out too. Rives will be serving his commercial Meads & Ciders tasting, and we’ll be judging the best home brew of the month too. 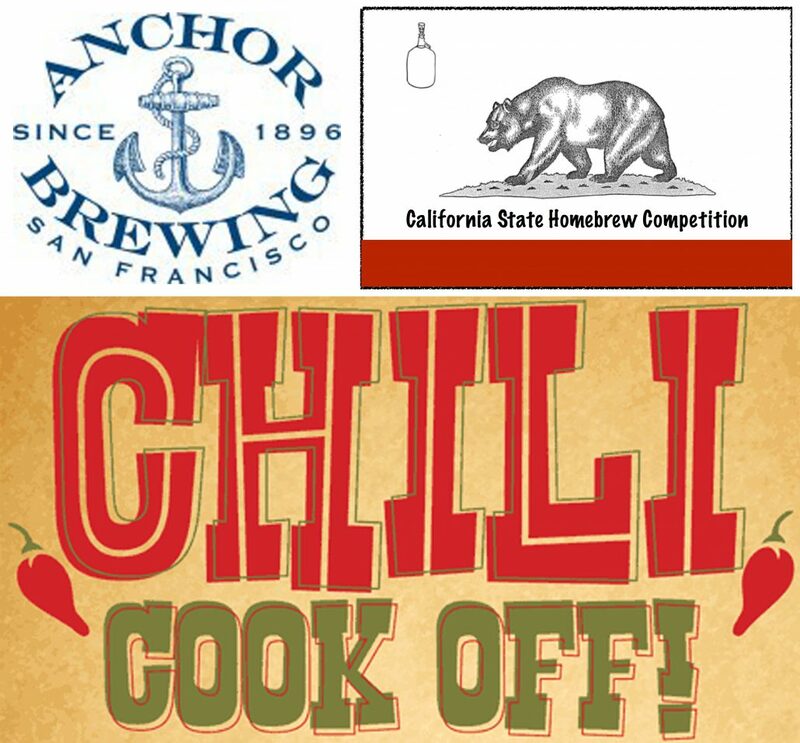 If you want to enter your chili for competition make sure you’re there and setup between 12 and 1pm. 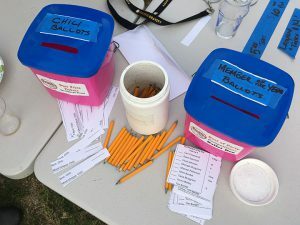 Voting will continue until about 3pm, at which point we’ll tally up and announce the best chili and most unique chili. Hat, sunglasses, and sunscreen. The weather calls for sun. A chair or two. Because drinking and eating is easier sitting down. Alright, so I’m going to finish up here then Tania and I will be walking over to Maple Block. Hope to see you there, if you want me to save you a seat message me on Facebook! Can you believe it’s November already? The holidays are right around the corner (message me directly if you need my wishlist 🙂 ) and it’s time for us to cook up some chili, vote on some new board members, and start making plans for our big end of year party! First Friday is THIS FRIDAY at Maple Block Meat Company here in Culver city. The service, food, and beer selection has turned Tania and I into regulars lately and I can’t wait to share it with you. We’ll be arriving around 7:30pm and staying until at least 10pm. If you’re in the neighborhood, thirsty and/or hungry, stop on by! The meeting is a few weeks early this month, so don’t miss out! The Molloys were generous enough to host us (again) and this weekend was the best fit for their schedule. Remember, it’s a private residence so carry-in & carry-out and be on your best behavior! The President, Vice President and Treasurer board positions are up for nomination and we’ll start collecting votes on Saturday. We’ll also begin voting on Club Member of the Year and we’re still accepting nominations for that award as well. Want to nominate someone? Email board @ pacificgravity.com with their name and which position you’re nominating them for. We’ll get them on the ballot if you email before FRIDAY. 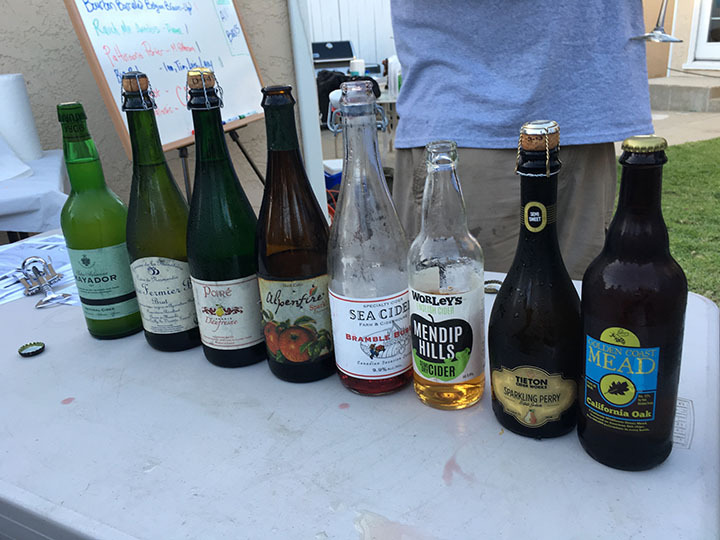 Our commercial tasting style is Meads and Ciders, hosted by Rives. 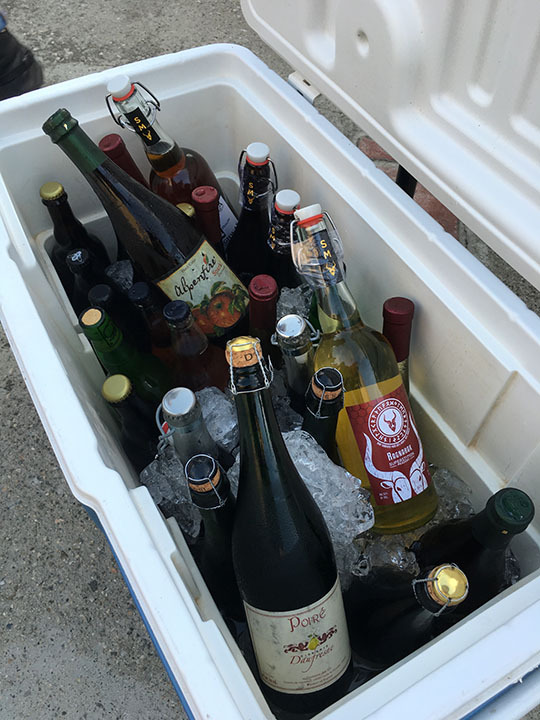 He gave me the 411 on some of the bottles he’s bringing and it sounds like we’re going to have a great lineup. 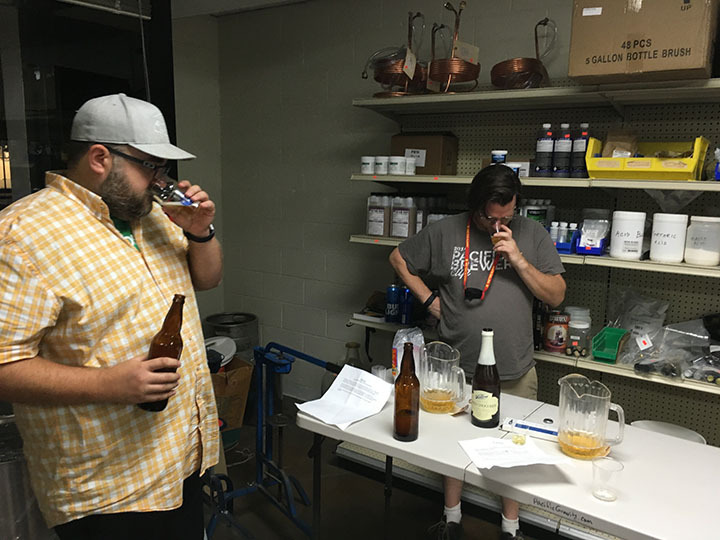 Best Beer of the Meeting competition will revolve around Meads & Ciders AND Smoked, Spiced, and Wood Aged beers. 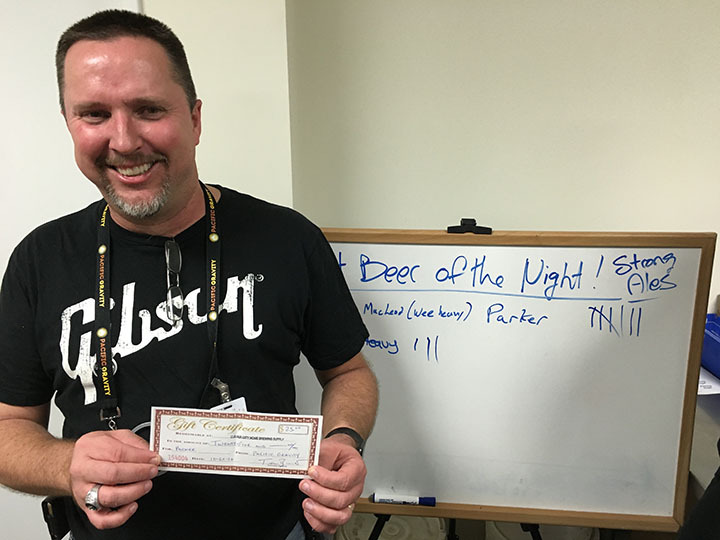 As usual, we’ll award a $25 Culver City Home Brewing Supply gift certificate to the winner. 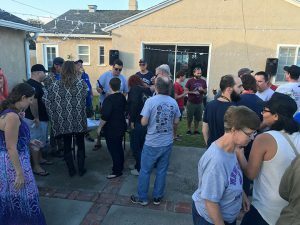 There are still a few details to work out regarding the meeting Saturday so expect one more post before the week is over. Looking forward to this weekend like 😀 😀 😀 ! See you there. Sleek, stylish eatery for classic BBQ, upgraded sides & counter seats to watch chefs in action. We're meeting there at 7:30 Looking forward to seeing you there! Sleek, stylish eatery for classic BBQ, upgraded sides & counter seats to watch chefs in action. We’re meeting there at 7:30 Looking forward to seeing you there! 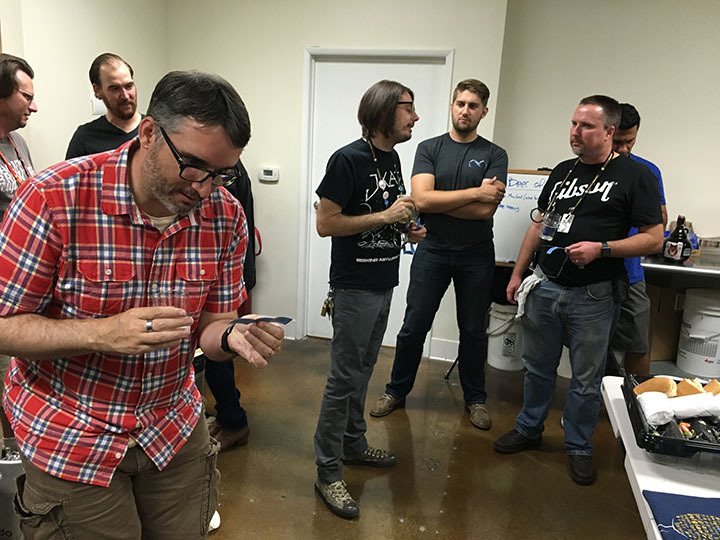 http://pacificgravity.com/wp-content/uploads/2015/11/chili-cook-off.gif 268 480 Michael Musgrave http://pacificgravity.com/wp-content/uploads/2015/01/pg_logo.png Michael Musgrave2016-11-02 15:00:242016-11-04 15:45:15November!!! Last Night’s Club Meeting Reminders and Recap. Thanks everyone that came out last night, we had a great October Club Meeting that had some long announcements and Nominations for 2017. 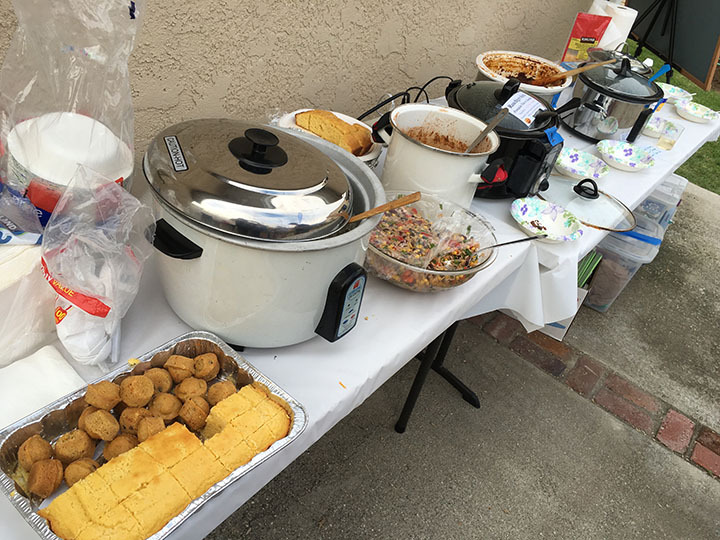 Just a Reminder, Voting for the Club President, Vice President, Treasurer, and Club Member of the Year will be held November 5th at the chili cook off Saturday club meeting at Terry Maloy’s house. More info on that to come, but in the mean time Nominations for Pres., VP, Treasure, and Club Member of the Year will be open tell about Nov. 4th. Please email us at [email protected] for your Nominations. There is still plenty of room for Pres., VP, and Treasurer nomination! Secondly, Tomorrow is the Golf Day Outing hosted by our new Activities Director, Brett Willson. if anyone is interested in golfing there still might be a chance to squeeze you in. Email Brett at [email protected]. Also we will have a Bottle share after party at the Trux Stop, hosted by Tomm Carroll, aka his place. Tomm said last night that if you don’t have any bottles to share don’t worry he has it covered!! also if anyone is interested in bringing any homebrew kegs as well we will have taps set up!! feel free to email me if you do: [email protected] and I will let Tomm know. 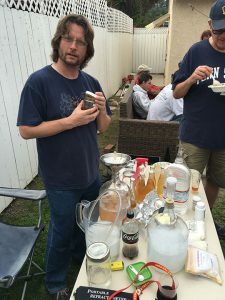 As well Ian will be cooking up some brats, but with a beer bath technique I’m told so it should be awesome as always. All are welcome to Tomm’s stating at 3pm tomorrow! Lastly check out the new First Friday schedule for the months of November and December that has been updated for the rest of the year. 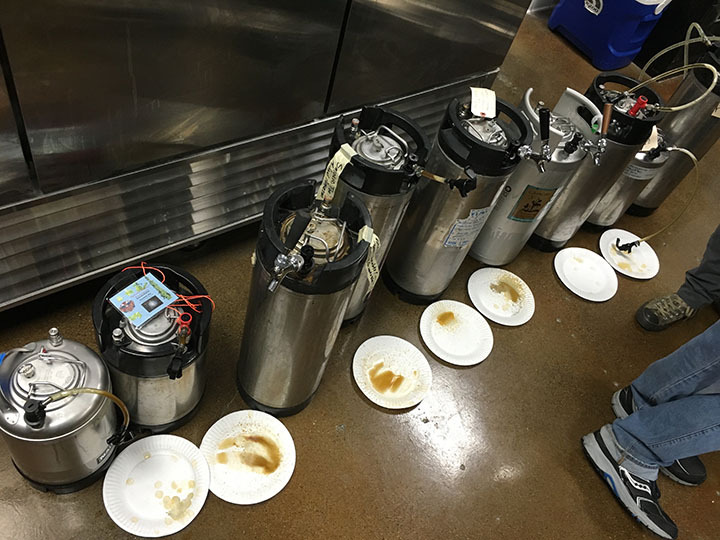 We had a ton of Kegs line up at last nights meeting, all sorts of styles and a couple for the Style of the Month. Everything from Strong Ales, to Smoked Porters, Fresh Harvest IPA’s and NE IPA’s. 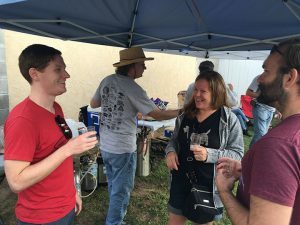 Plus some great beers being passed around like Rueben’s Smash Hopped Dorado IPA and a American sour blend dry hopped with Mosaic form one of the New Members that signed up last night! 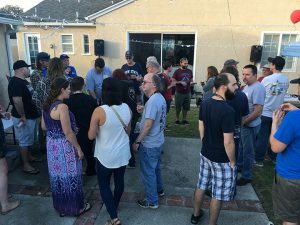 There where a ton of new faces and it was great to see and meet you all. I hope you enjoyed the meeting and will be back for more of our events! 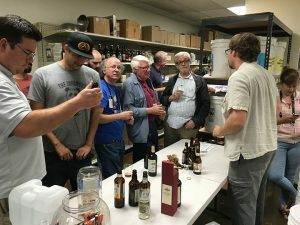 Tim J. hosted the Commercial Tasting and did a great job finding all sorts of English Strong Ales and some American Barleywines. We also had a great Raffle with a lot of classics like “A beer and a Glass”, but also gave away some Fresh Cascade Hops from Carls garden, a new and rare LA Ale Works hat and a beer, some PG glassware swag and a beer, a Brewery 750ml, and ended with a grand prize of a 6.5 gal. Glass Carboy donated form Porter at Smog City. We did our last 2 off flavor tastings last night, hosted by Michael Patterson. Thank you Michael for hosting all the set ups this year. Last night ended on some fun ones Earthy and Spicy. The Earthy one tasted like you just took a shot of dirt mixed in with some grass clippings. Great Stuff! 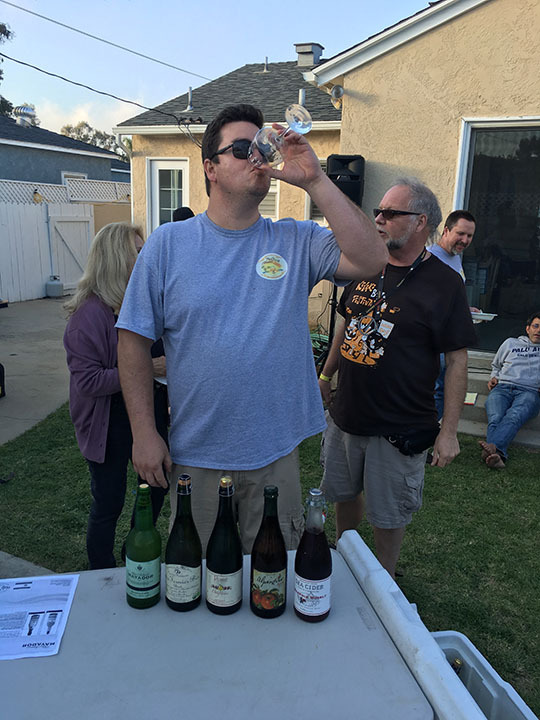 Club Member Parker Waechter once again this year took home the Best Beer of the Night price of a $25 gift certificate at Culver City Homebrew Shop with his Wee Heavy. He has consistently brewed not only the style of the month, but has done it in away that has improved his skill immensely. I encourage all to be like Parker and brew those beers! The Style of the Month has been there to encourage people to step out of their boundaries. 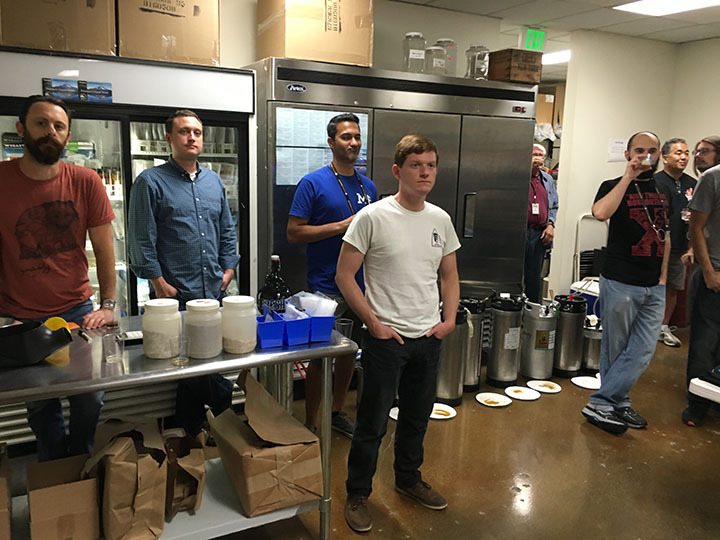 To brew and learn about different styles. 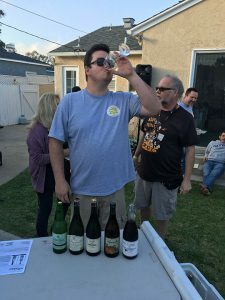 Parker has done that, admitting last night how brewing the style of the month has been a great and fulfilling challenge for him this past year and it show in his awesome beers he brings every month. Great Job Parker! http://pacificgravity.com/wp-content/uploads/2016/05/PG_CoasterLogo_Crop.jpg 1910 2110 lloyd http://pacificgravity.com/wp-content/uploads/2015/01/pg_logo.png lloyd2016-10-21 11:17:262016-10-21 11:17:26Last Night's Club Meeting Reminders and Recap. Some PG reminders!!! 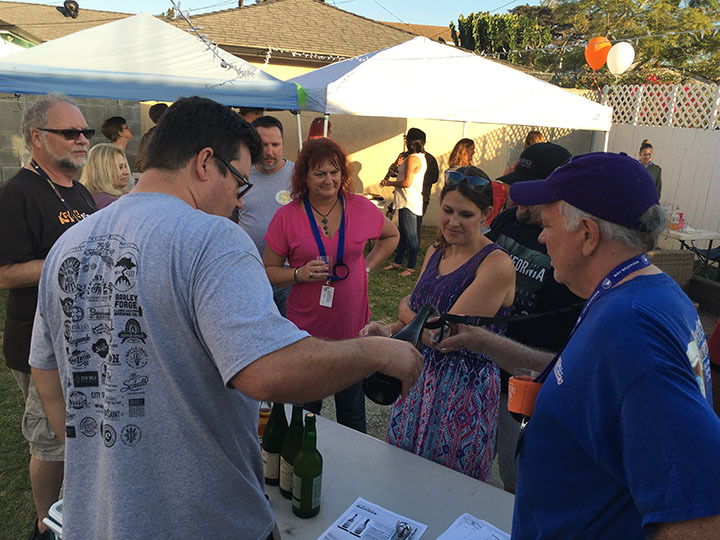 Sign-ups and Club Meetings. Just a few reminders if you wanted to sign up for a couple things now is your last chance. 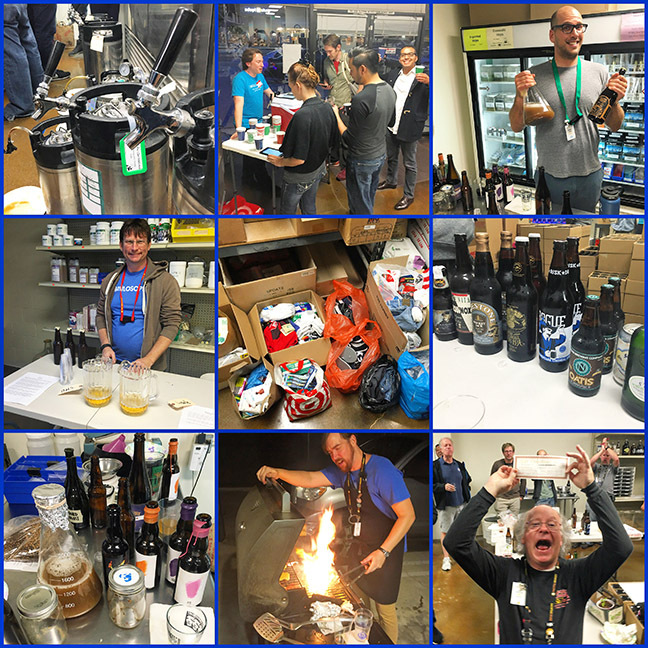 The Firestone Walker PG collaboration BB Weizenbock bottle survey and then the PG Gold Day Outing. 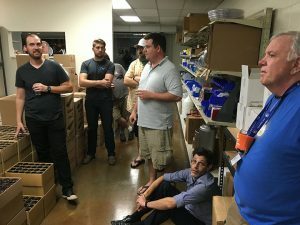 Also a Reminder of this Thursdays Club Meeting being held at the Culver City Homebrew Supply store! 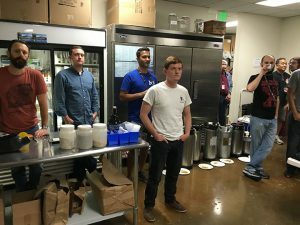 -Firestone Walker and Pacific Gravity Bourbon Barrel Aged Weizenbock Collaboration bottles for sale. 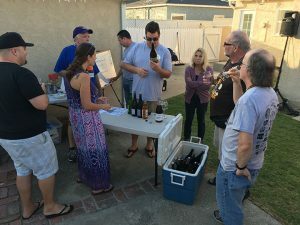 Check out the last post I did about the survey by clicking Here, or just go to the survey now to let us know of any further interest in getting reserved bottles. As far as I know there is no discount and you will have to commit to buying any bottles you reserve. 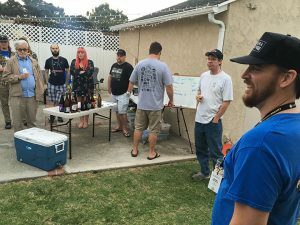 -Pacific Gravity Golf Day Outing, click Here to check out the last post about the full day and bottle share for everyone held afterwords at the Trux Stop, aka Tomm Carroll’s place! RSVP to [email protected] now asap if you want to join in on the golf day at westchester. Please also RSVP for the bottle share if you plan to go, so we can get a head count for food. Remember on Club Meeting you get a Double Store Discount at the shop for all members on your purchases!!! So bring your shopping lists, this will be the last meeting for the year at the store until 2017. Also the Style of the Month that night will be Commercial Tasting Style: British Strong Ales and then Best Beer of the Meeting competition styles: British Strong Ale, American & English Old Ales, Wee Heavy, American & English Barleywines, and Wheazwine. Where like always you can win a $25 gift certificate from the Shop. There will also be our last 2 off flavors of the year being presented by Michael Patterson, the raffle, and also the Nominations for Club President, Vice President, and Treasurer, plus Homebrew of the Year!! So get thinking who you would like to nominate for 2017 or step up yourself and join the board. Last year we had two contested board member positions and it made it all the more exciting, so Im looking forward to seeing who we have in the running for 2017. 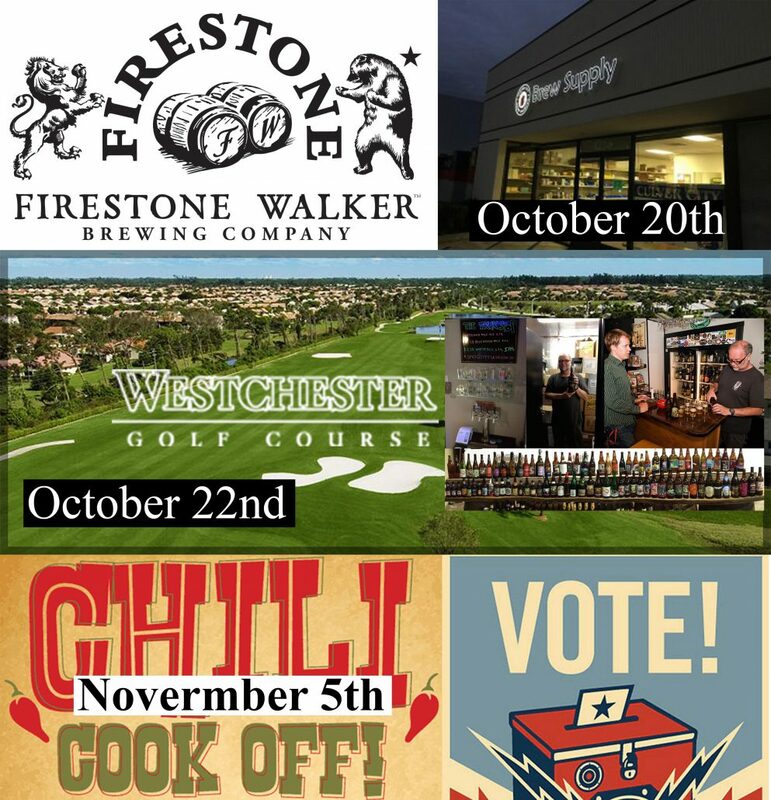 Note: We will be doing the Vote on November 5th at Terry Malloy’s house for the Chili cook off Saturday Meeting. Please set your calendar’s since it will be so early in the month this year around. It will count as our November club meeting and we are still deciding on what will be done about First Friday for November. http://pacificgravity.com/wp-content/uploads/2016/10/Reminders_PG.jpg 3376 3256 lloyd http://pacificgravity.com/wp-content/uploads/2015/01/pg_logo.png lloyd2016-10-17 07:55:052016-10-17 00:56:35Some PG reminders!!! Sign-ups and Club Meetings. 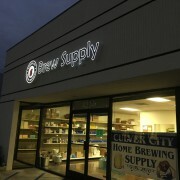 Culver City Home Brewing Supply has again agreed to host us for this month’s meeting this Thursday the 18th at 7:30pm. CCHBS has been super supportive of us over the years, so plan a project brew and give-back by buying supplies on the night of the meeting. I will be, for sure. Style of the month is Sours and I’m really looking forward to Andrew W’s flight of commercial sours; he absolutely owned this category last year. 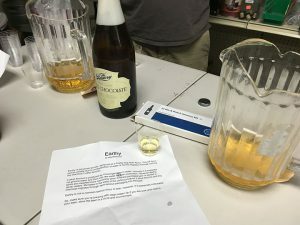 I’m bringing a home made Berliner Weisse to enter into the Best of Meeting competition, as usual there is a $25 CCHBS gift certificate for the winner. Knowing this group, it should be a unique mix of beers and we’ll have some food and a live band (just kidding CCHBS). Held at Culver City Home Brew Shop. 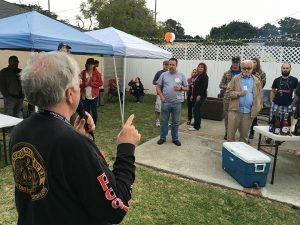 First off I wanted to Thank everyone again who brought their generous donations for our May club meeting charity drive. We collected a ton of stuff for our friends at OPCC.org and it showed with all the extra pink tickets people where given for the raffle because they donated. Which made the raffle more fun because people where yelling out pink or blue at every prize, wishing for there color to come up. We gave away a lot of great stuff that night too during the raffle because of it: hops and brew in a bag- bag, hop rhizome clipping and even a whole cap, shirts, beers, glasses, Firestone Walker glasses wear, and a few bundle pack of Wyeast and Firestone Walker swag, and a lot more. 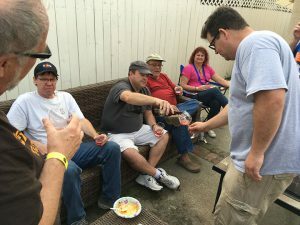 Thank you to Michael Musgrave for stepping in and manning the grill he and Terry brought, cooking us a bunch of tasty burgers and large dogs with all the fixings chopped up by Dean and Terry. Ian I hope your recovering nicely!? 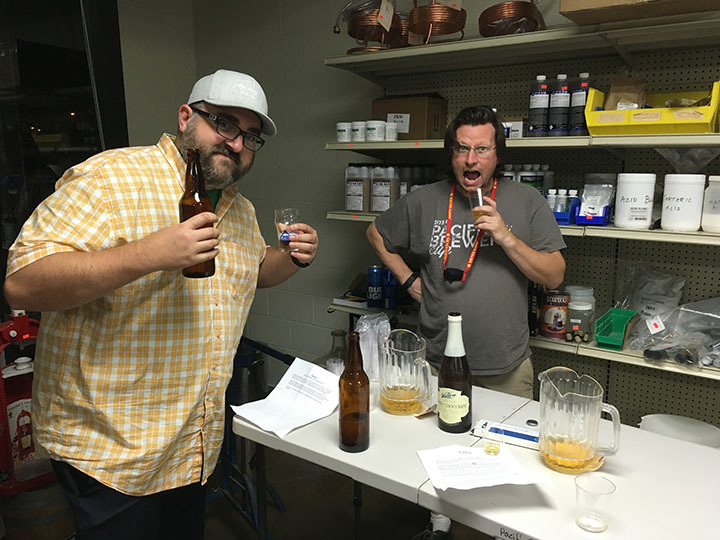 Michael M. also bought our alternative fermentable commercial beers and Terry helped serve and present them. We had Simon in from Phantom Carriage Brewery, doing the Barrel Project sours. 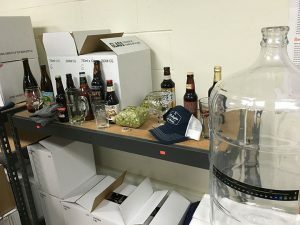 Where a few of the PG homebrewers brought in sour beers and dregs to be added to wort Simon brought and will soon be added to a PG/PH barrel project soon! We had some great educational stuff going on as well. Michael Patterson brought us two more off flavors to try: D.M.S. and Indole “BarnYard”. 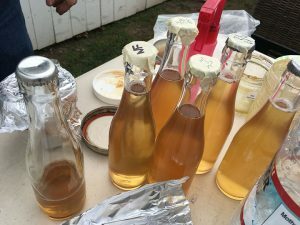 I personally finally had one I could not stomach with the indole off flavor, not the nice Brett barnyard flavors you would think. Michael P. also brought his own test of different added levels of grapefruit flavoring to beers, from low to high. Then, Greg Foster brought us another mind blowing triple triangle Brulosophy.com test to test on us! 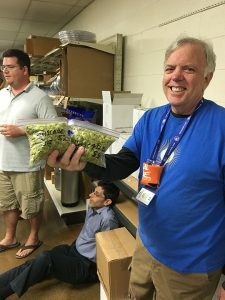 This time he did a 5 day traditional dry hop in wort vs. a long term hop in cold kegs of carbonated beer. 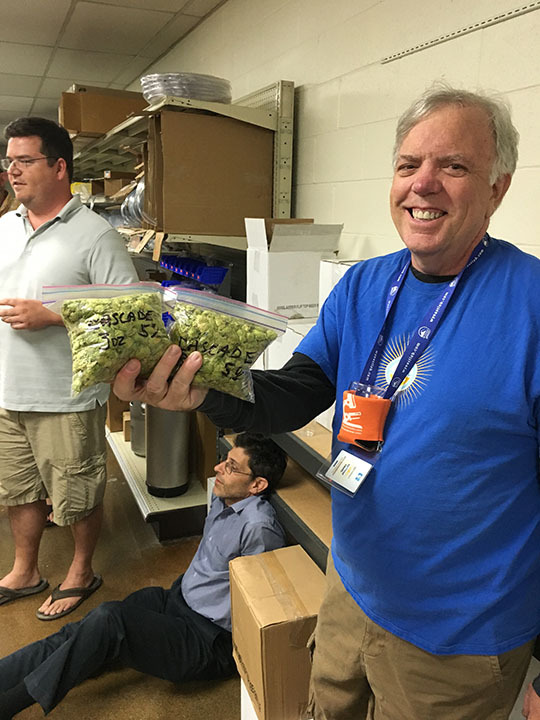 The cold hop was surprisingly more aromatic. 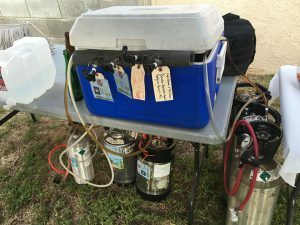 We had more Homebrew then we could drink too! A bunch of kegs and some great examples of Alternative Fermentable Beers on hand. The Best Beer of the Night winner for the style of the month was our resident master brewer Carl and his Belgian Blond!! 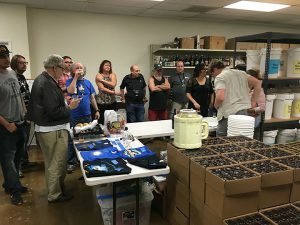 We also inducted a few new roles to the Board: “Charity and Special Events” with the roll being filled by Mimi Bardet, and then “Educational Coordinator” with the roll being filled by Michael Patterson. I just wanted to thank you both for your contributions in both those roles so far this whole year. Also a big thank you to Culver City Homebrew Supply for hosting the meeting at their shop, it looked like a bunch of club members where taking advantage of their extra club meeting member discount we implemented for this year. 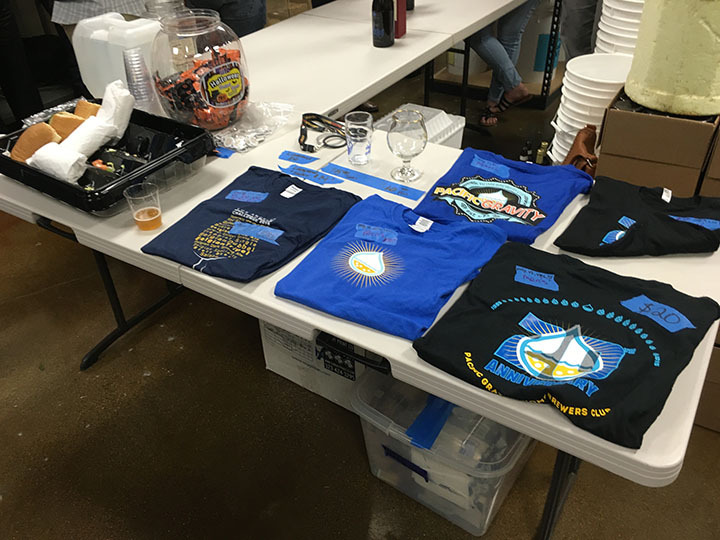 10% off your purchase at the shop on club meeting nights hosted at the shop, instead of the usual 5% off. May was one of those special club meeting months, and everyone had such a great time. Photos are on Facebook below, if you’re not seeing the gallery in email, click here. Thank you all for coming and see you all soon! 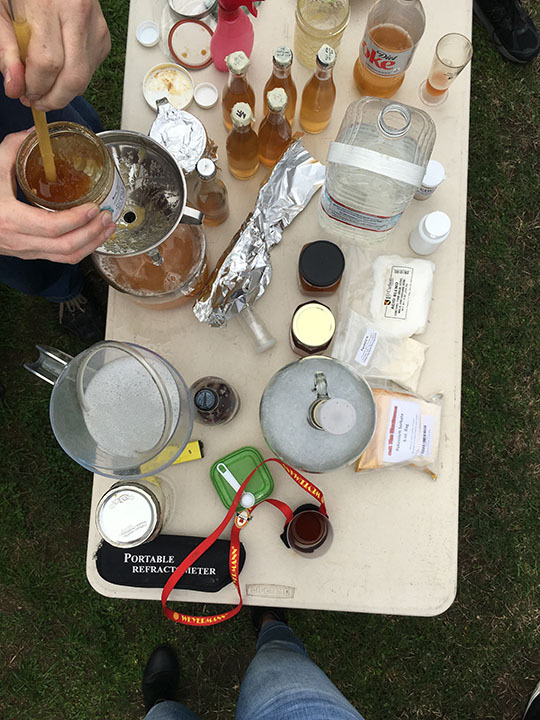 http://pacificgravity.com/wp-content/uploads/2016/06/MayClubMeeting2016.jpg 648 648 lloyd http://pacificgravity.com/wp-content/uploads/2015/01/pg_logo.png lloyd2016-06-04 12:00:272016-06-04 11:43:30May Club Meeting Recap! !